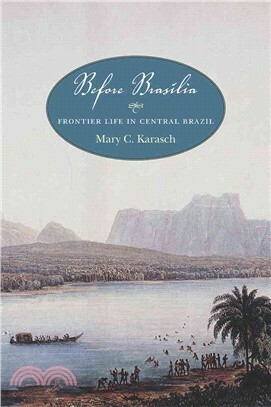 Before Brasilia offers an in-depth exploration of life in the captaincy of Goias during the late colonial and early national period of Brazilian history. Karasch effectively counters the “decadence” narrative that has dominated the historiography of Goias. She shifts the focus from the declining white elite to an expanding free population of color, basing her conclusions on sources previously unavailable to scholars that allow her to see connections and understand the impacts of geography and ethnography. Karasch studies the evolution of this frontier society as it evolved from the slaving frontier of the seventeenth century to a majority free population of color by 1835. As populations of indigenous and African captives, and their descendants, grew throughout Brazil, so did resistance and violent opposition to slavery. This comprehensive work explores the development of frontier violence and the enslavements that ultimately led to the consolidation of white rule over a majority population of color, both free and enslaved.